Get started with your 14 digit PMPL barcode! PMPL follows Pocono Mt School District for snow closings and early dismissals. Please see PMSD alerts for more information, or local TV listings. There are no fines when the library is closed due to bad weather. See our facebook page for up to date information on our status. 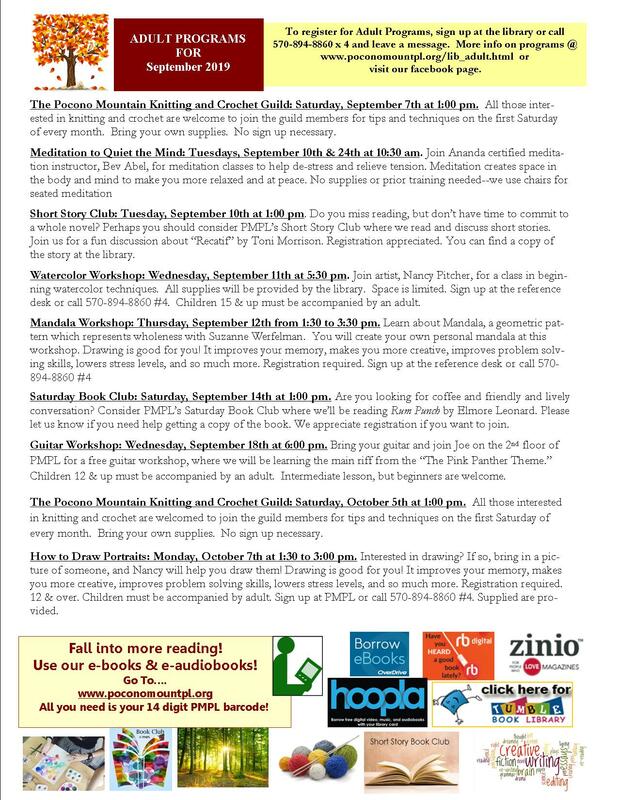 Or call the library for more information or to check if we are open @ 570-894-8860 x3. Donate with our secure Paypal link. 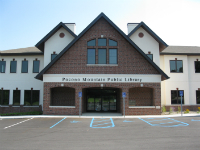 Pocono Mountain Public Library is a 501(c)3 corporation and is supported by state and local tax money, as well as generous contributions from patrons of the library. 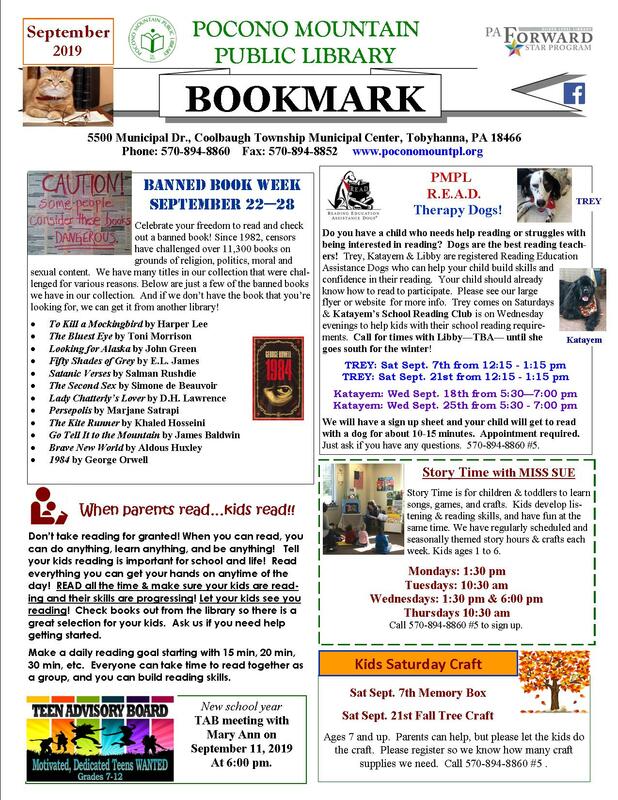 Copyright Pocono Mountain Public Library, 2005.